Following the award-winning book and national exhibition Great Interactions, which captured images and stories of the every day lives of people with learning disabilities and autism in educational and care settings, photographer Polly Braden wanted to explore what would happen if individuals did not receive the right support. This led to a new collaboration with Sandwell based arts organisation, Multistory in July 2016. The prevalence of people with learning disabilities and with autism who are in the criminal justice system is often measured in figures: they are seven times more likely to come into contact with the police than the general population; they account for just under a third of young people in custody; and when it comes to incarceration, around 10% of adults locked up in our prisons has a learning disability. Out of the Shadows offers a very different view on the human cost of locking up people with learning disabilities and/or autism. 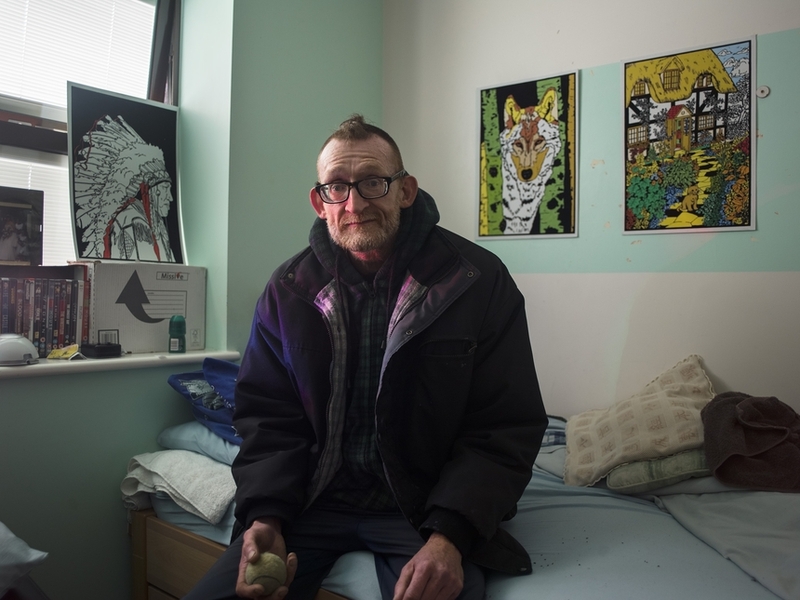 The book, which will be published by Dewi Lewis, contains intimate and powerful photographs by Polly Braden, seven in-depth stories by Journalist Sally Williams and three first-hand accounts. Together, they offer a valuable insight into how they ended up in prison and what happened to them. The project launch on 7 September at MAC will be close to the ten-year anniversary of Jenny Talbot’s Prison Reform Trust report ‘No One Knows’, published in 2008, and it can act as an important platform for taking the temperature of justice and the experience of people with a learning disability.